There's an uneasy feeling that invades your body the second you walk up the steps and through the metal detectors of the gray concrete edifice that is 850 Bryant Street. 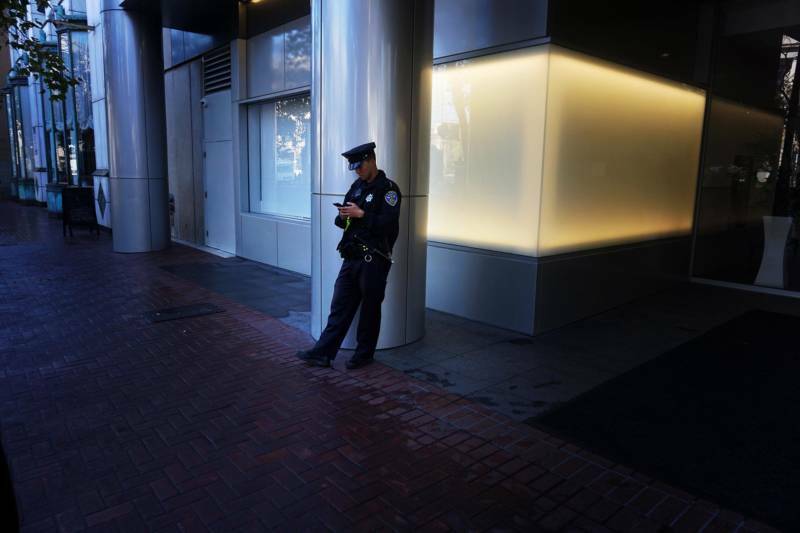 Even if you know you haven’t committed a crime—perhaps you're there to fight a parking violation, or report for jury duty—if you're a person of color, there's always an innate fear while visiting government agencies. Often, the ones who work inside those walls hold a position of power over your livelihood, with the ability to arrest, sentence or jail you at their discretion. The most unimaginable reason to be inside this building: to visit the art exhibit currently housed on the walls of the third floor. 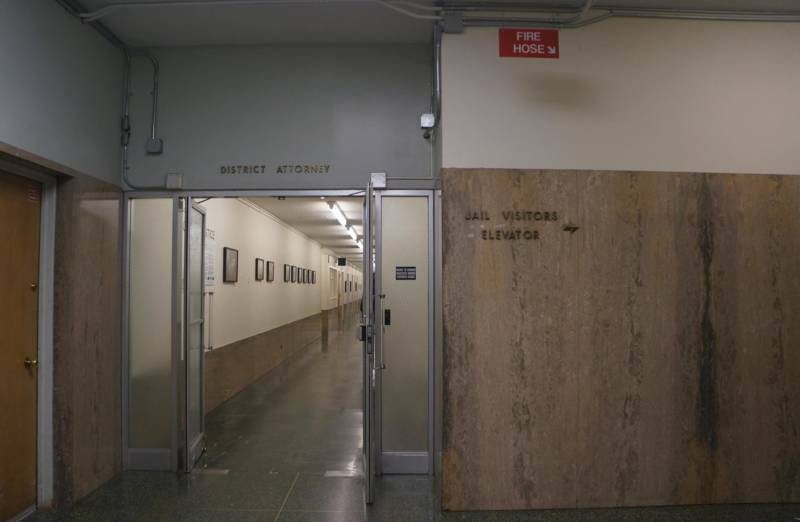 Visions of Justice is a story in photographs told by those who've been put behind bars, in some cases by the very people who walk these cold, eerie hallways of the Hall of Justice. 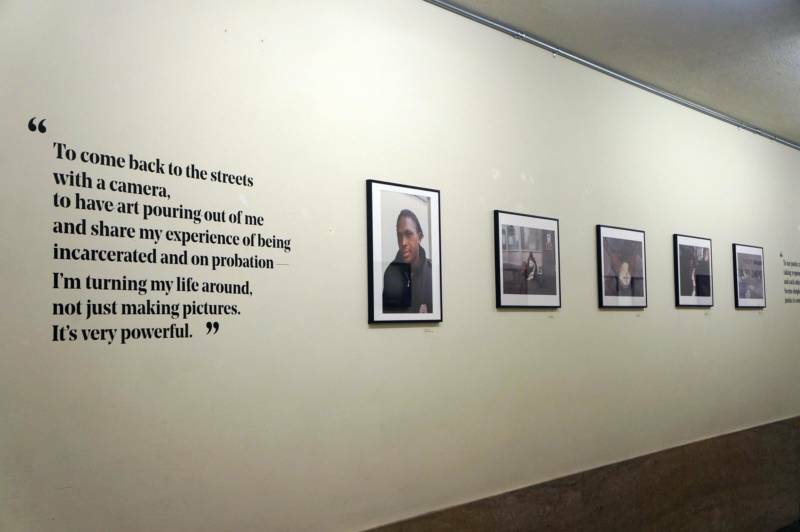 Introduced with the question “What Does Justice Mean to You?," the exhibit gives the formerly incarcerated the chance, if only for a brief period, to flip the cards and hold the upper hand in the form of breathtaking photography. “[The exhibit] puts you back in a position of power,” photojournalist Brian L. Frank says of the work hung on the hallway walls. Frank, who had his own share of run-ins with the law before turning his life around, served as an instrumental part of Visions of Justice. As a 2017 CatchLight Fellow, he visited Pine Grove Youth Conservation Camp, California’s first and last remaining rehabilitative prison camp for offenders who were sentenced as teens. With his camera, he followed a group of them from their incarceration at the facility to their release and journey back home. It was his own past experience with the law that helped him gain their trust. Opposite Frank’s work is a wall of photos taken by formerly incarcerated folks, a collaboration between CatchLight, Project Rebound, and the Pulitzer Center on Crisis Reporting. Together, the three entities facilitated a photojournalism workshop at San Francisco State, Frank’s alma mater, where he served as a mentor for the participants of the workshop. 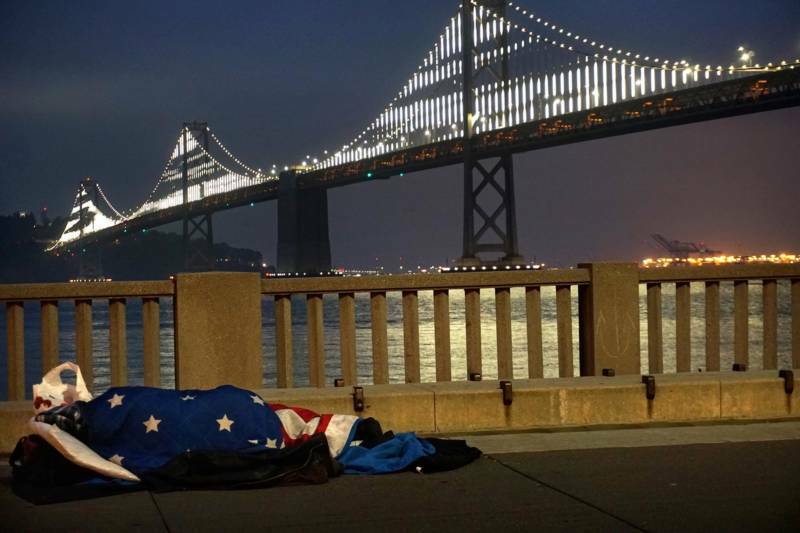 The student photos—including portraits, candid shots of people going about their day, even a police officer—were taken in the streets where they're from. All representative of the world they live in, both pre- and post-incarceration. One of Frank’s students with a natural ability for photography was Christopher Shurn. “One of the things he did when I was teaching him [about photography] was go out and photograph a cop,” Frank says. For Shurn, it was the opportunity to use something he learned while doing time. “I knew not to come from certain angles, or do certain things,” Shurn says of approaching the officer. He ended up striking up a conversation about the officer’s cell phone, and how Shurn had served time. That conversation served as a bridge to make the photo happen. Frank knows this exhibit wouldn’t have been as effective in a typical gallery, where wealthy donors would be likely to view the photos primarily as artistic expression instead of a tool for conversation about the need for reform in the criminal justice system. More than anything, Frank wants people to see his students as more than just a statistic. As people with the desire to turn their lives around, but who are working with a limited support system.